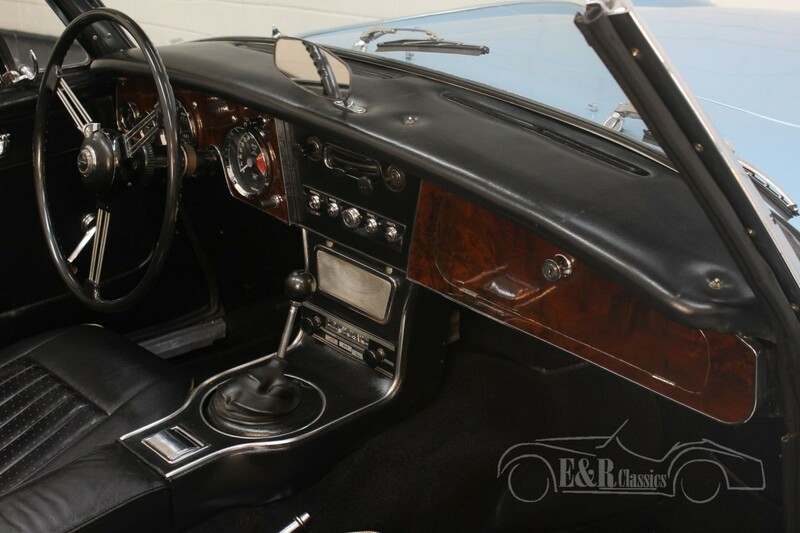 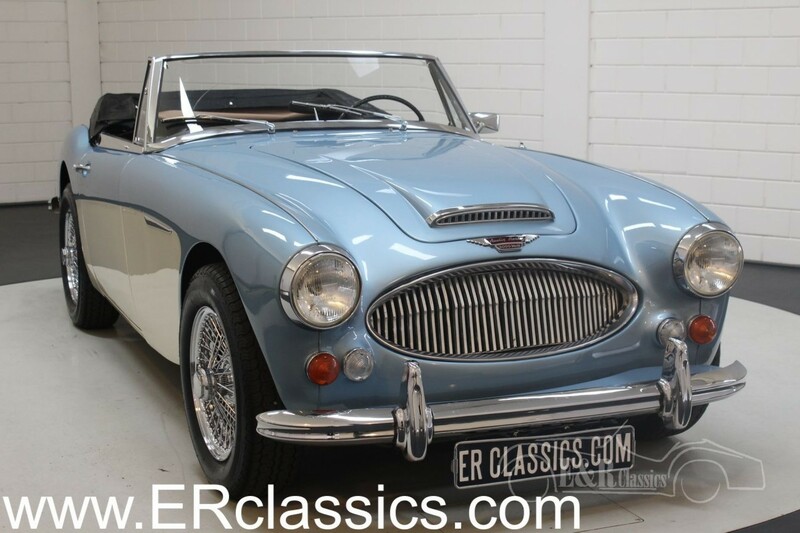 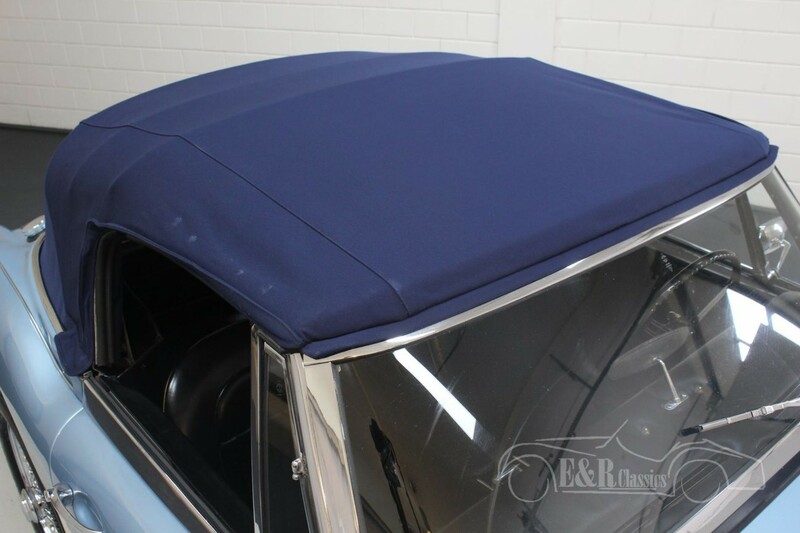 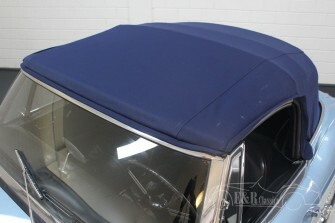 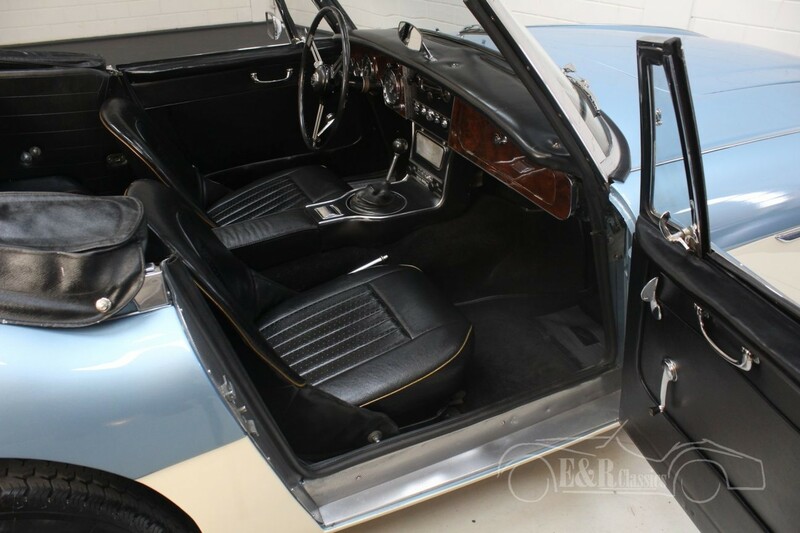 This Austin Healey 3000 MkIII Phase 2 Cabriolet was built in 1966. 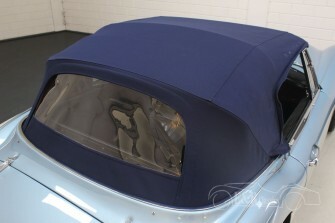 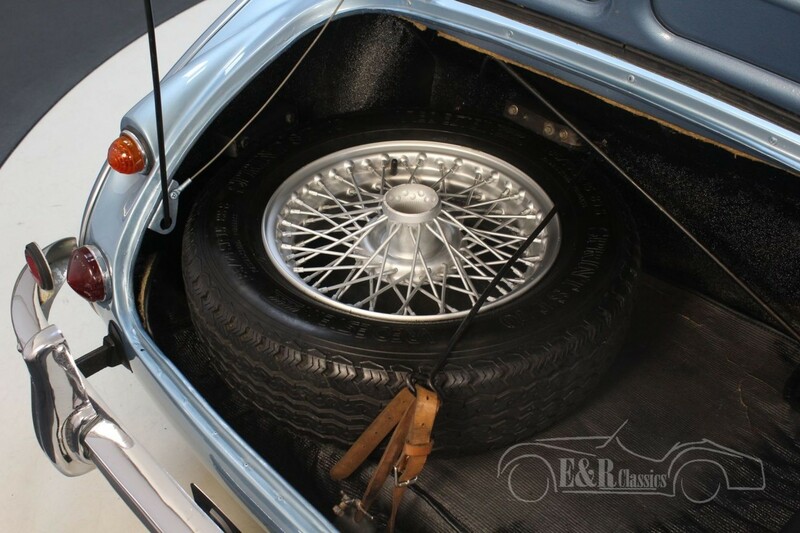 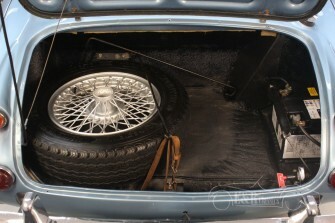 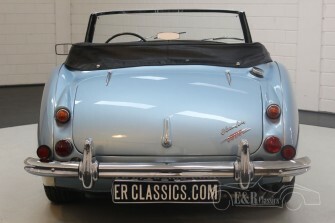 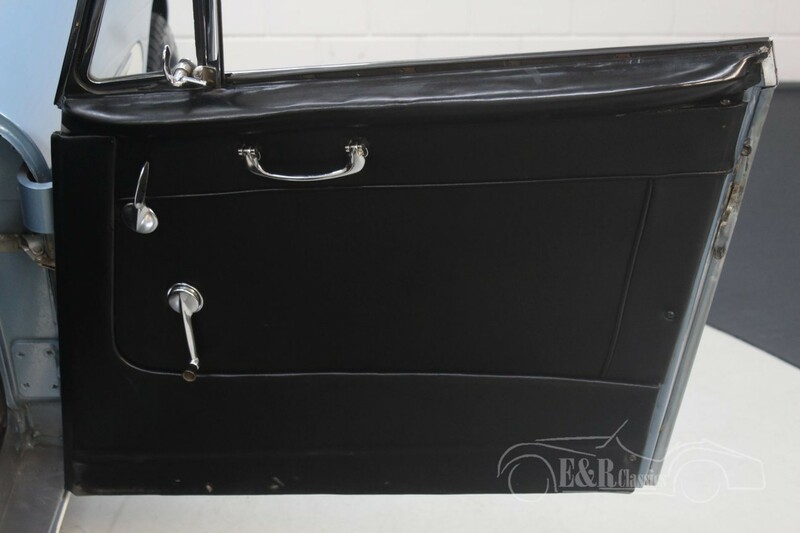 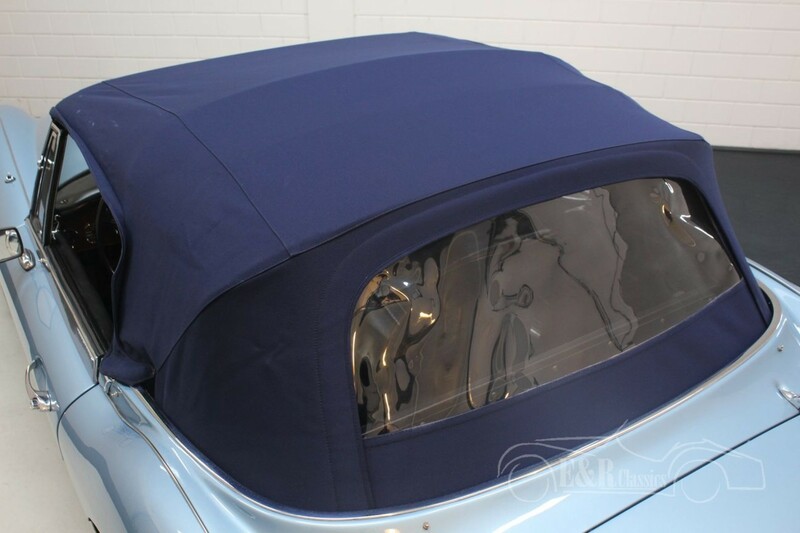 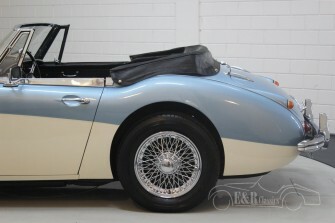 The English classic car has been registered in the Netherlands since 1990 and was also restored in the past. 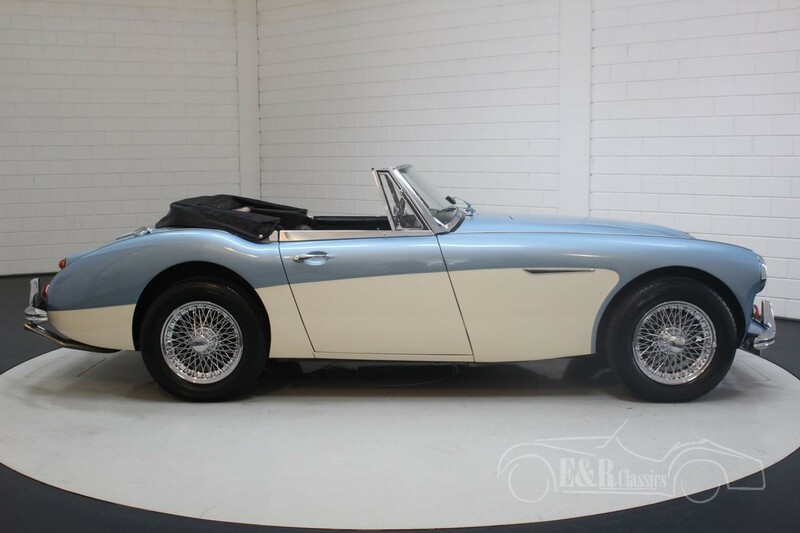 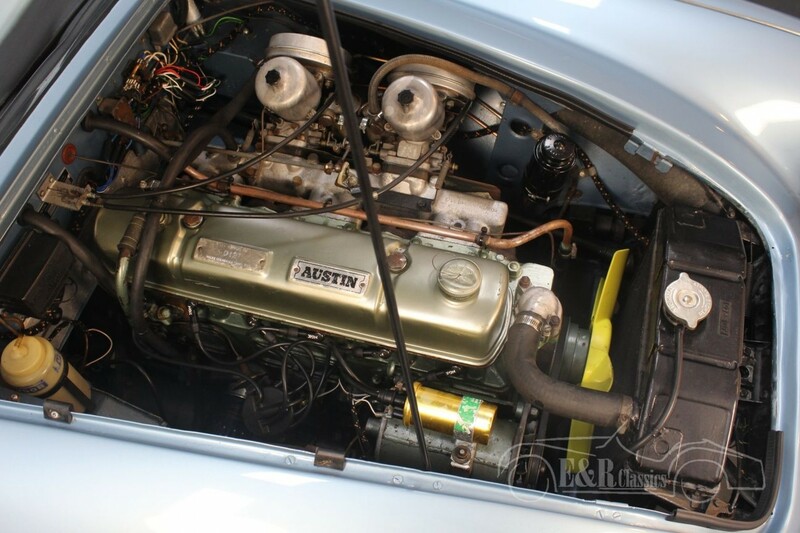 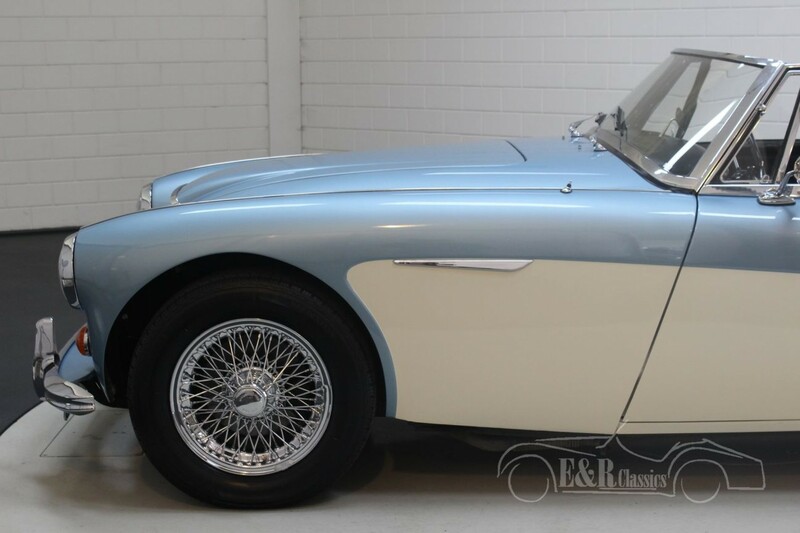 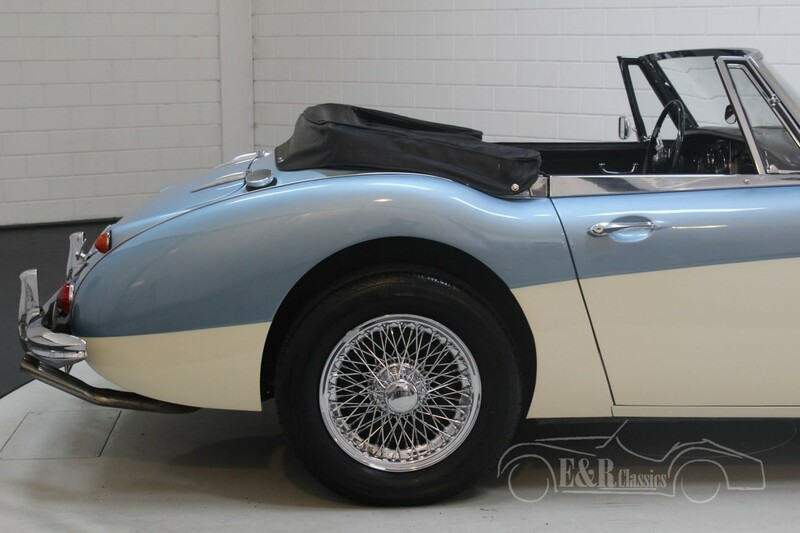 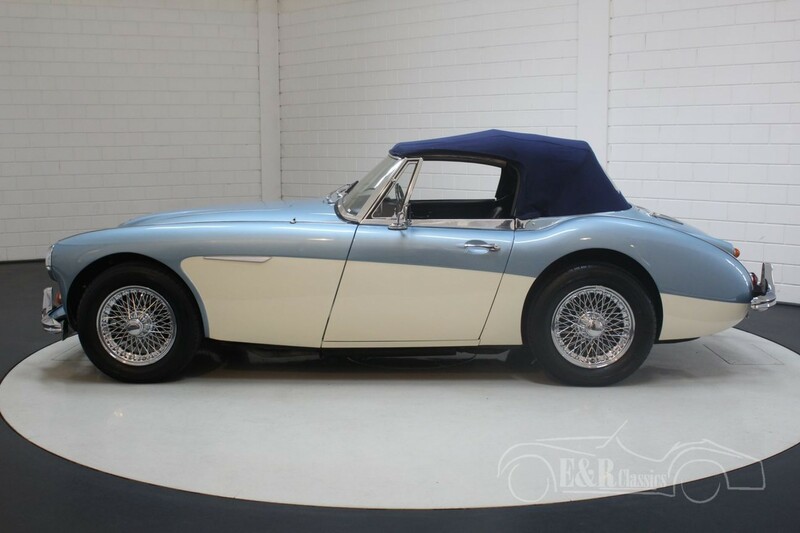 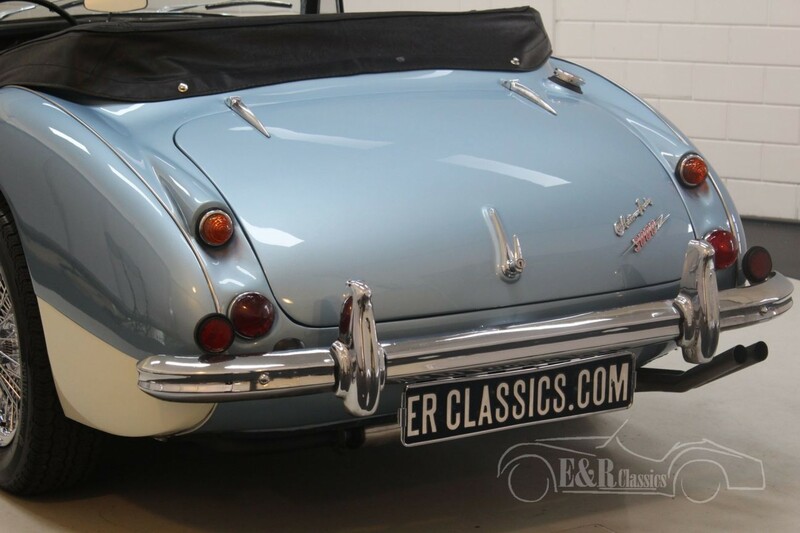 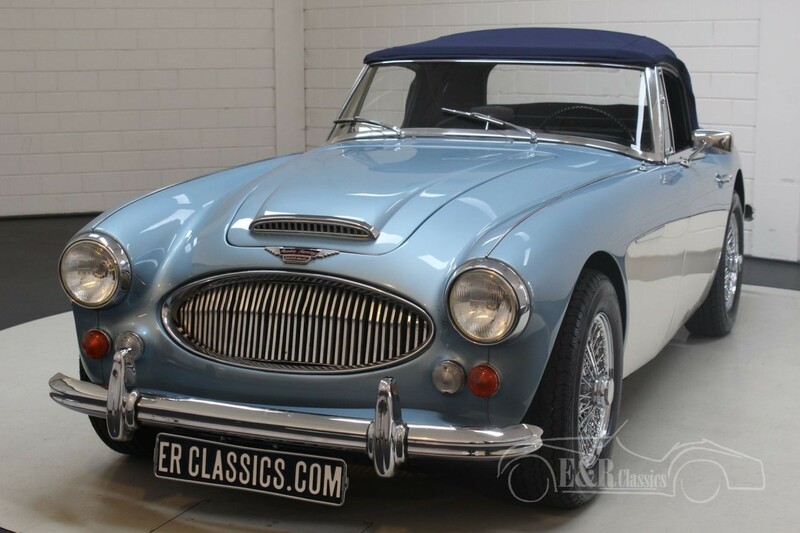 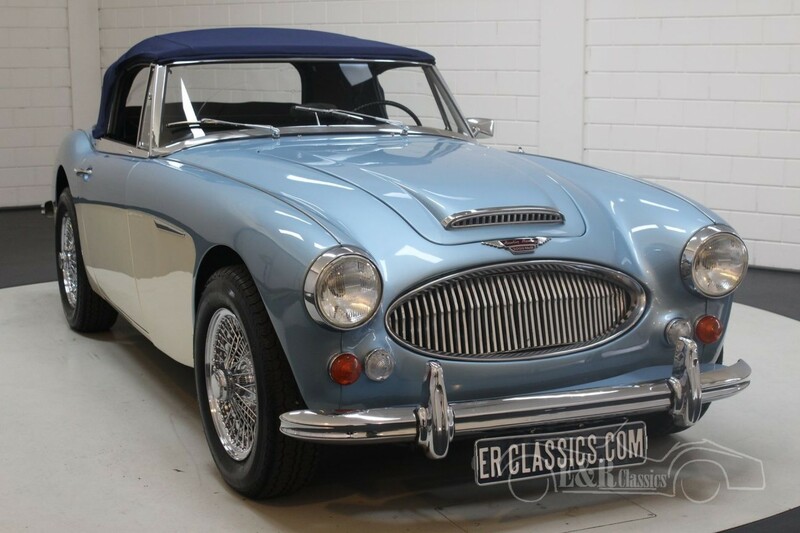 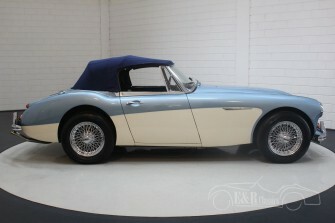 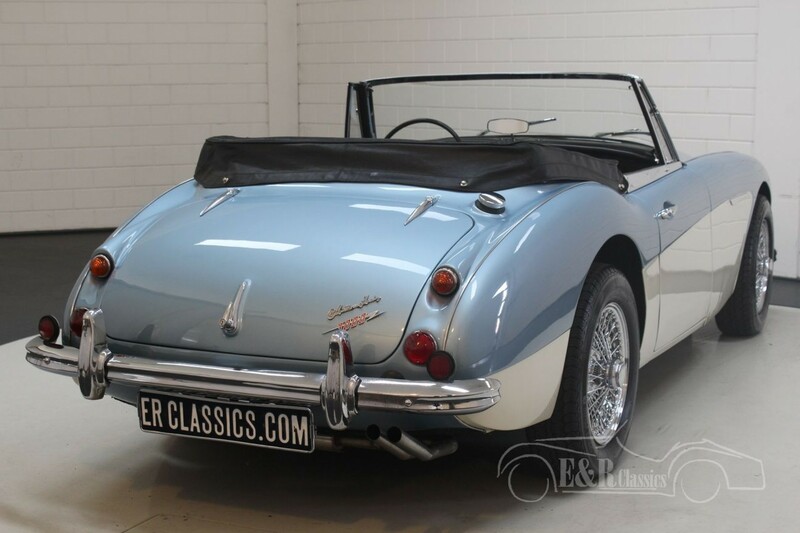 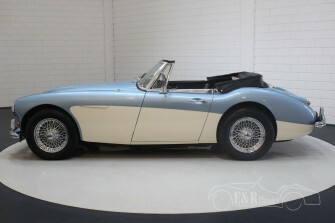 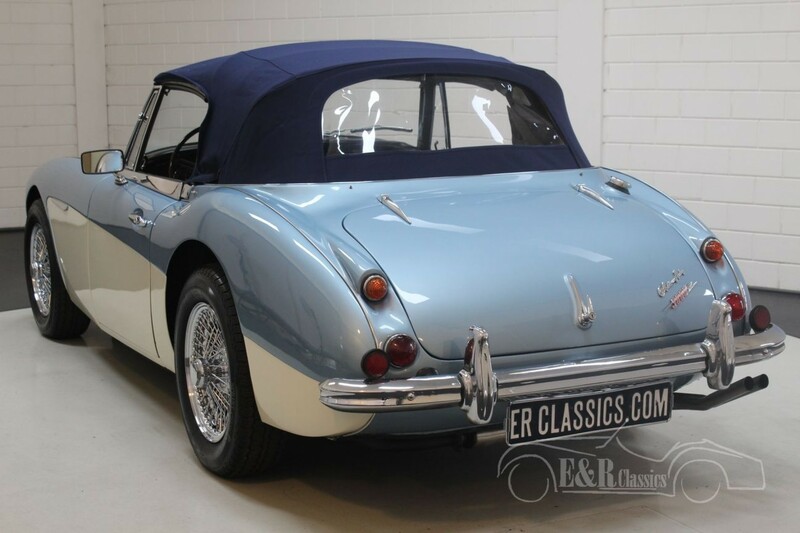 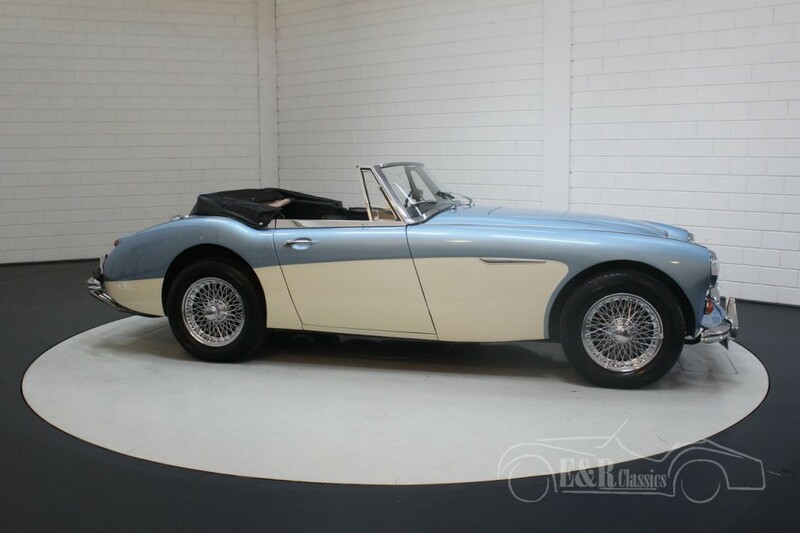 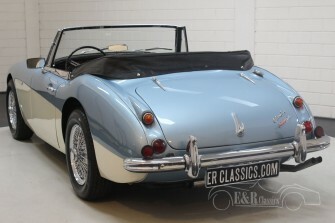 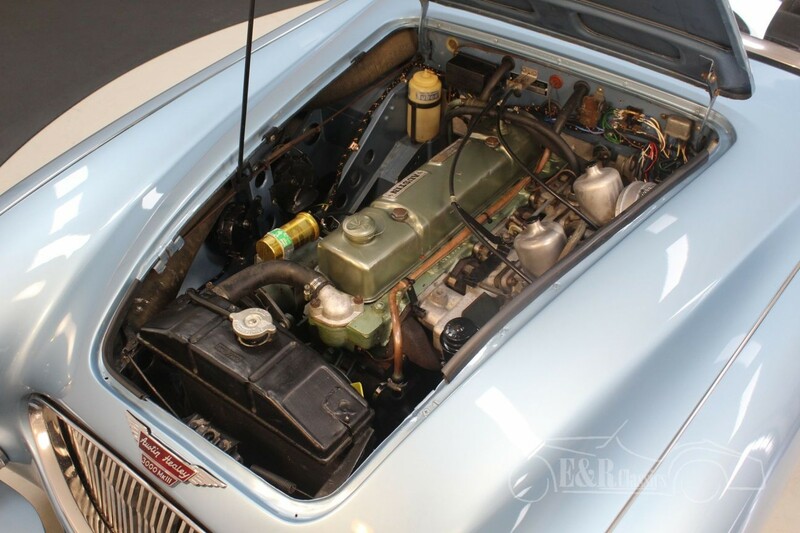 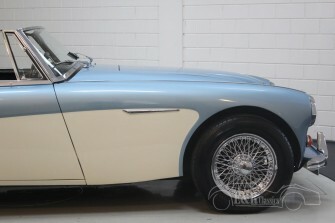 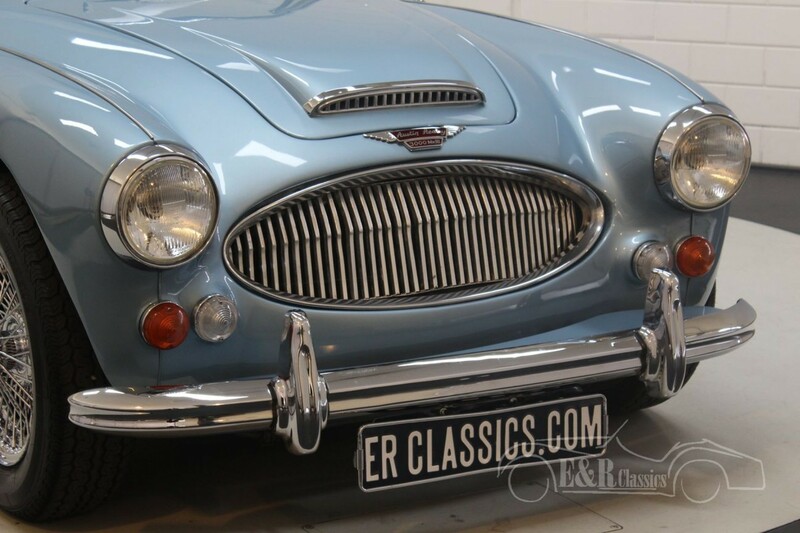 This Austin Healey 3000 features the beautiful Ice Blue colour scheme with white side surfaces. 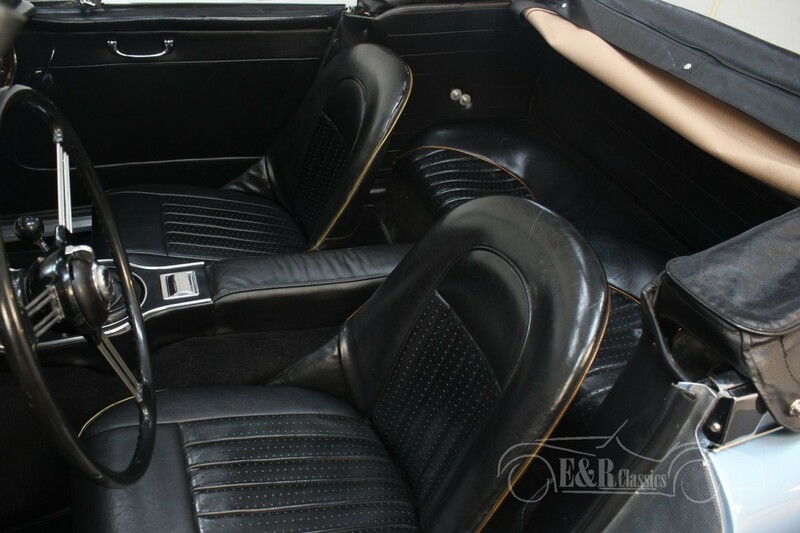 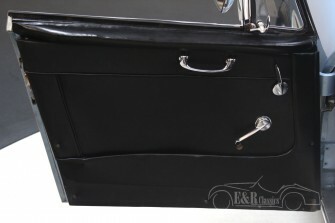 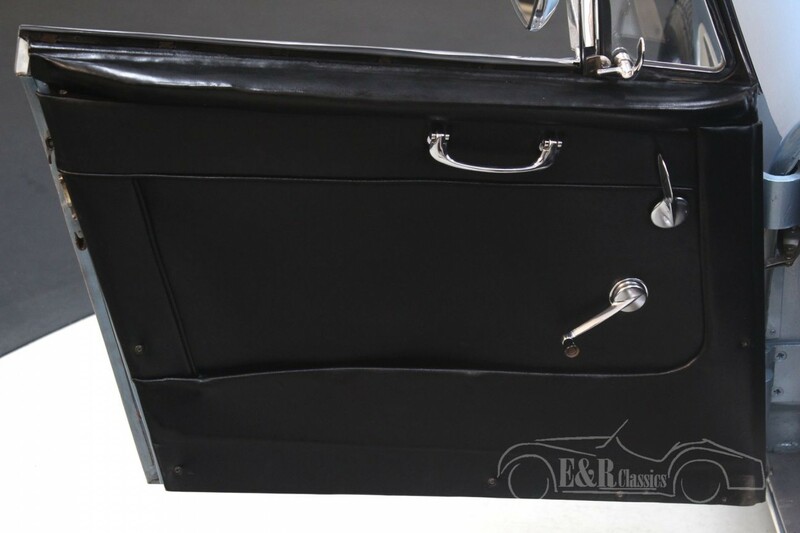 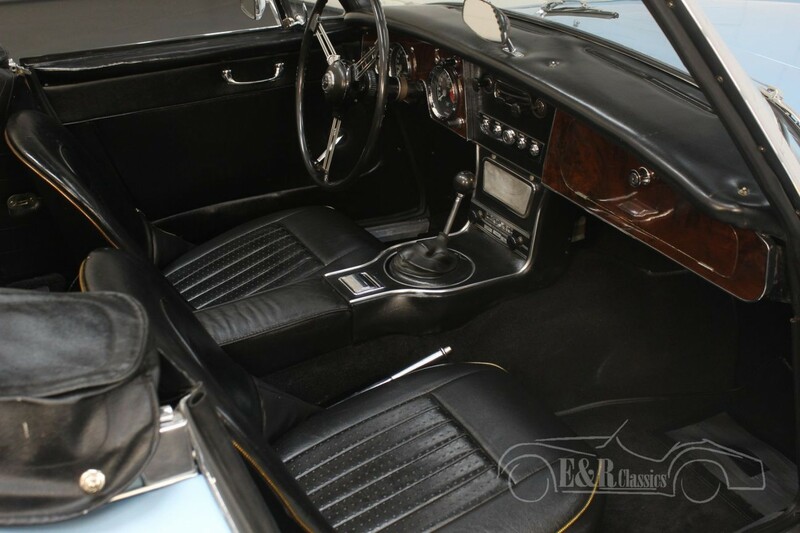 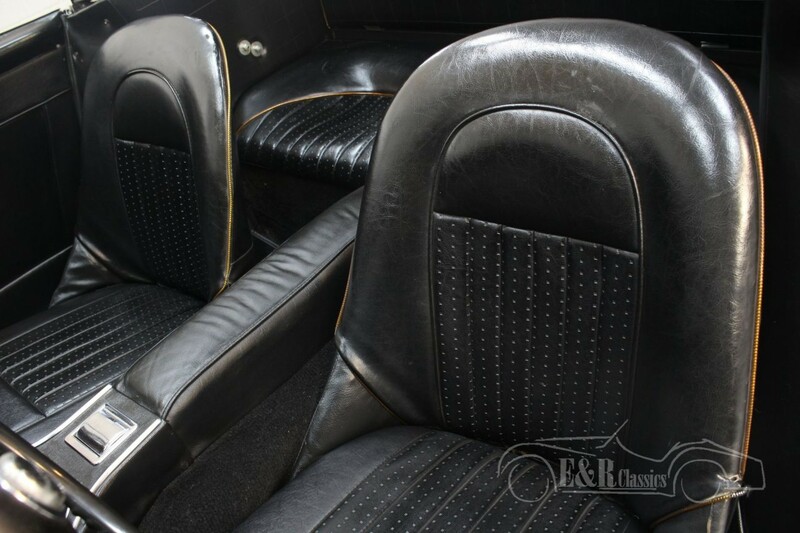 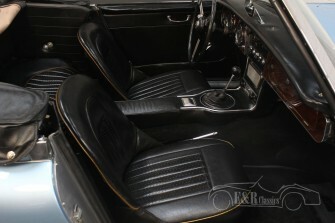 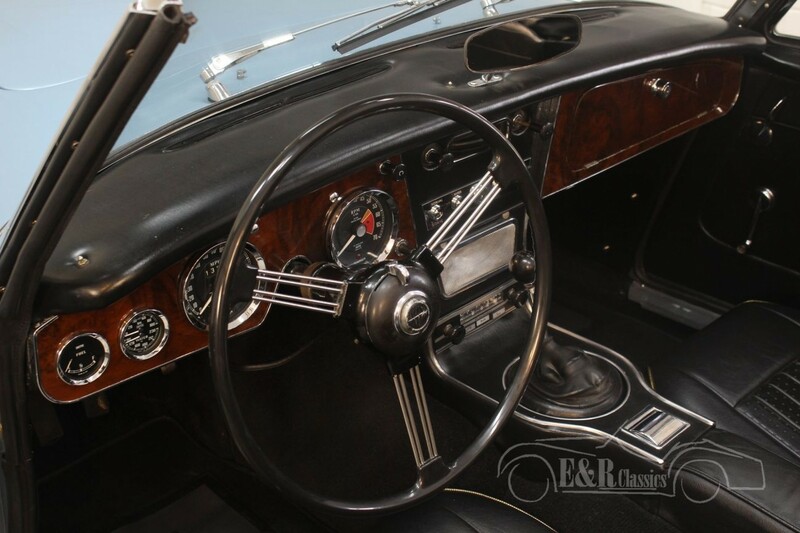 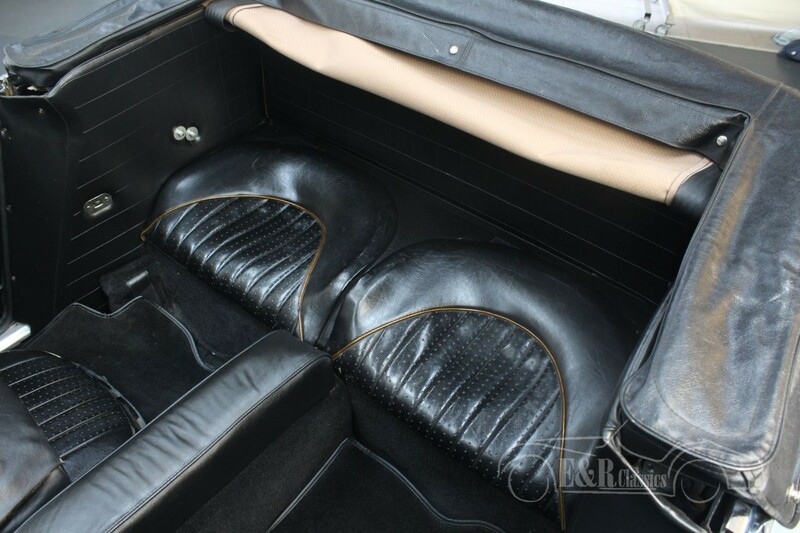 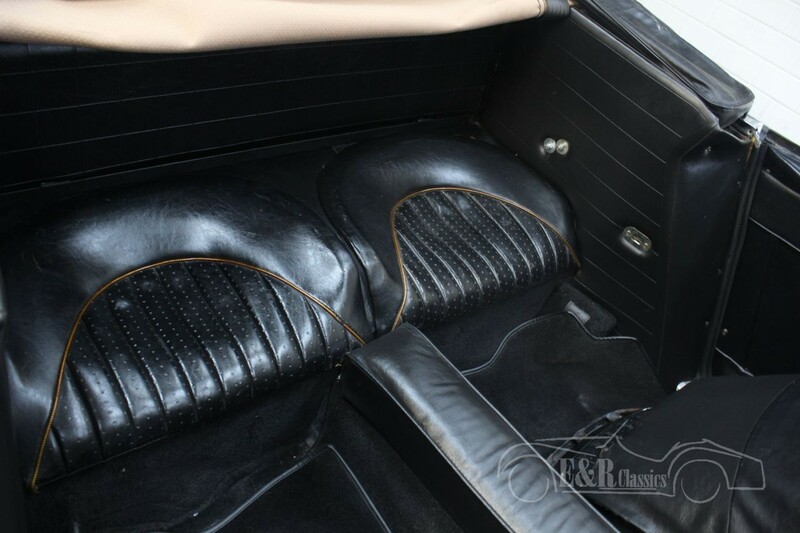 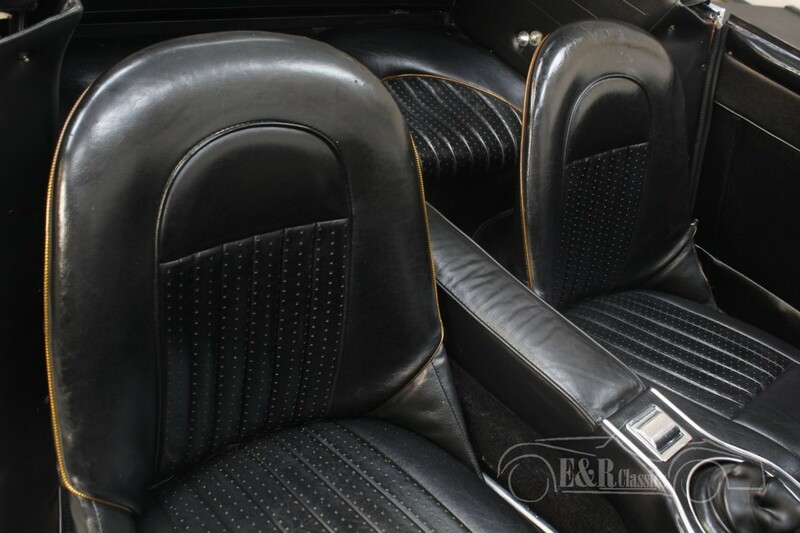 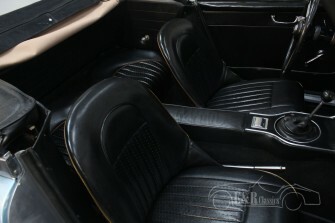 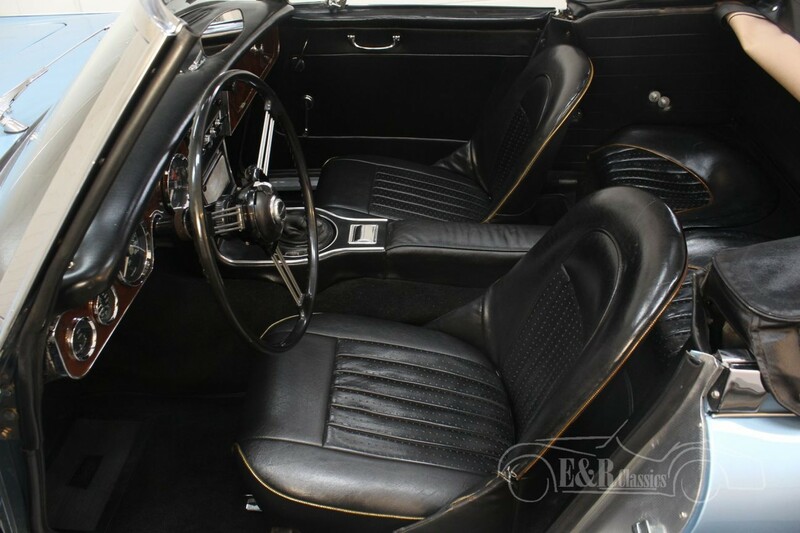 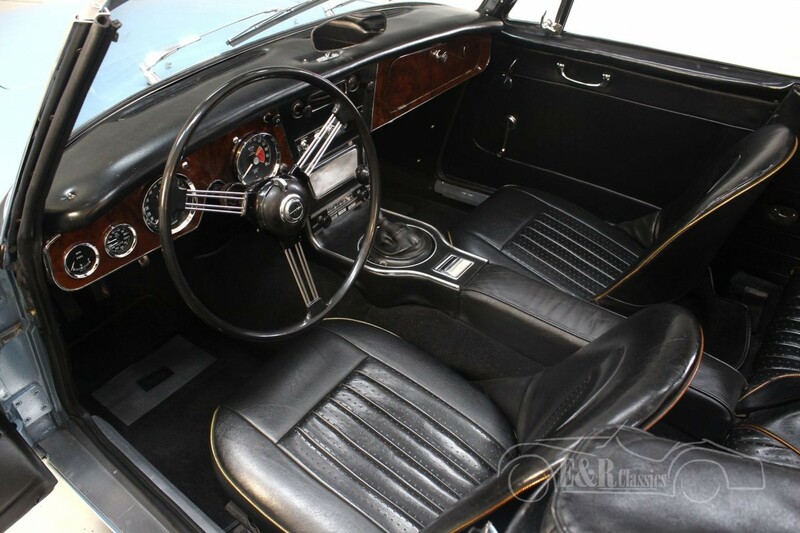 The interior is equipped with black upholstery and a wooden dashboard. 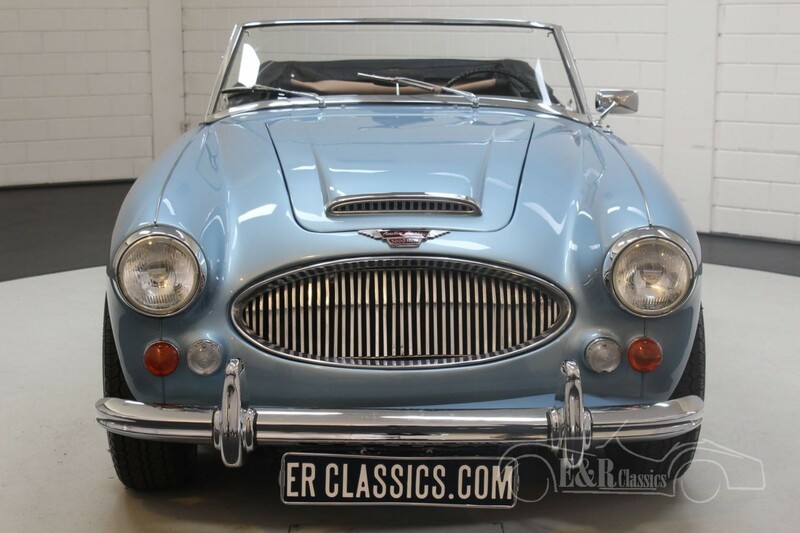 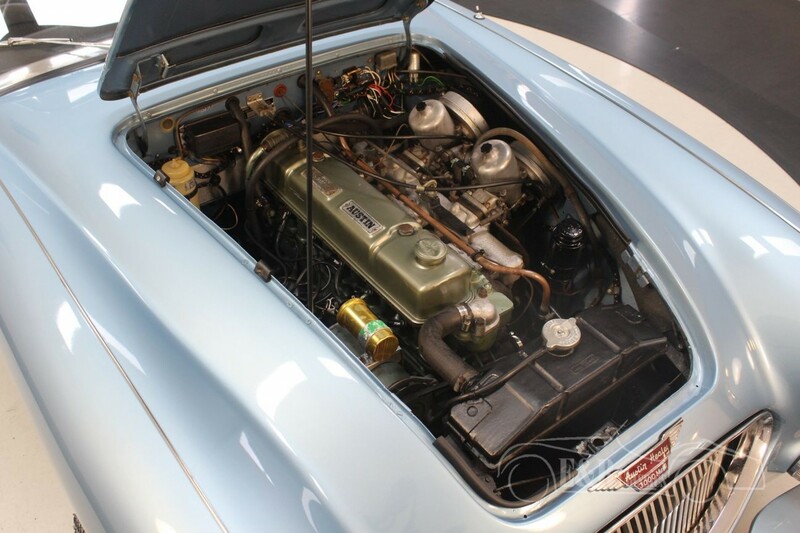 The 2912cc 6-cylinder engine and manual gearbox with overdrive ensure a fantastic driving cabriolet, with of course the characteristic Healey engine sound. 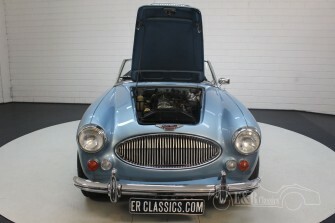 In short, a beautiful and well-cared for Austin Healey 3000 MkIII to enjoy many summer kilometers. A little message to let you know that the delivery of the Studebaker went well and at the right time. 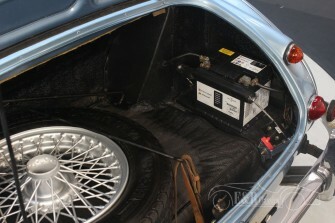 I was also very satisfied with the guy who braught the car to the garage and told us how to handle the car. 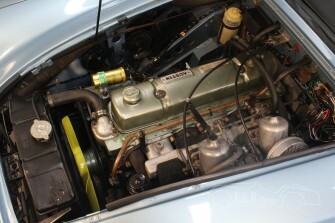 We congratulate you. 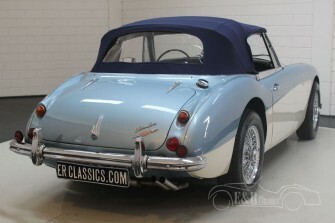 I wanted to thank you again for the warm welcome in Waalwijk and the great car. 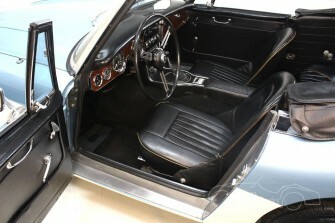 Everything went very well and we would like to thank you. 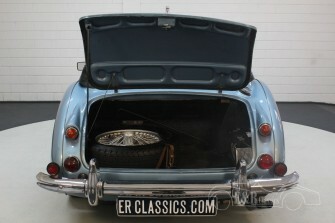 Here are some photos of the arrival of my little 4CV and the handover of the keys. 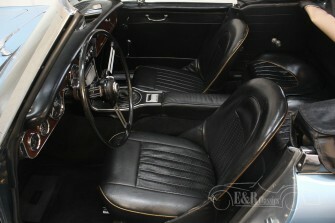 Your driver was very sympa!! 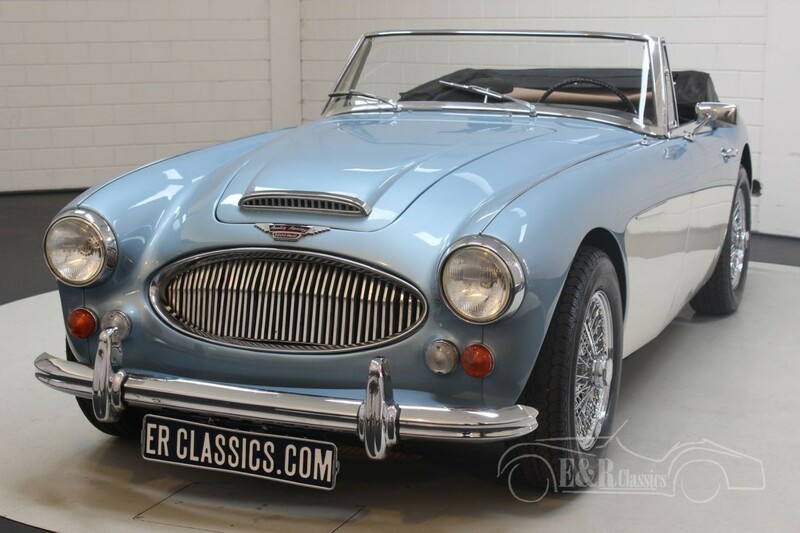 Looking for a Austin Healey?